There are times when you need to find a place to kick up your heels and let your hair down for the night. At Baby Dolls gentlemen’s club in Fort Worth, we know exactly how to entertain our guests and make special events the most exciting events in the city. Whether a Texas team is gearing up for the World Series or lining up on the gridiron for a championship ring, we always show the hottest sporting action from around the country. Our ladies and our clients love sports and you will see plenty of sporting action wherever you find yourself in the club. Of course, some rough and tumble events like boxing and regular season football are guaranteed to knock more than just the socks off our talented dancers so be forewarned that you might get distracted while you try and focus on the more than 100 plasma screen TVs we have located throughout Baby Dolls gentlemen’s club in Fort Worth. Of course, we have plenty of guys who want to celebrate their birthday, big promotion, or the bachelor party before that long walk down the green mile some call the wedding aisle. Whatever the occasion, our team will pull out all the stops to ensure that it is a night to remember that won’t leave anyone drowning in boredom. Every party needs good food, good beer, and good cigars to make the evening enjoyable. At Baby Dolls in Fort Worth, our chefs and bartenders spend their night making sure you have everything you need. From plates of BBQ stacked so high they can give you a coronary just looking at them to drink menus that are guaranteed to satiate your thirst. 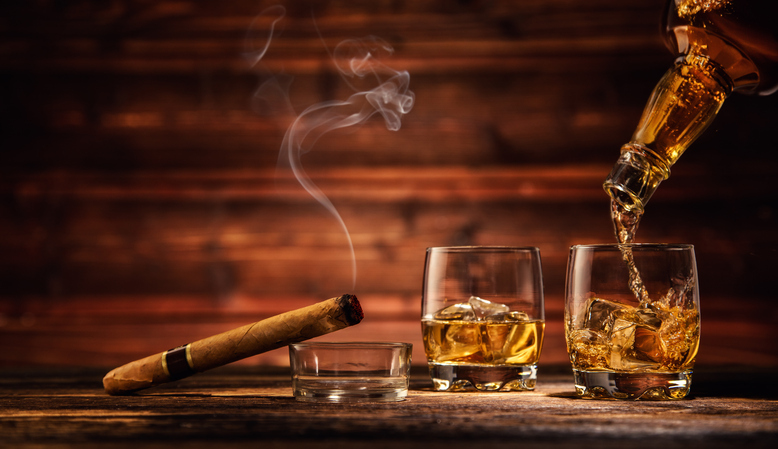 We even have a full menu of the finest cigars for you to light up and lay back with as you watch the show. Of course, the best way to enjoy any night at Baby Dolls gentlemen’s club in Fort Worth is to become a member of our VIP Club. Our exquisite ladies love VIPs and your membership entitles you to everything from drink specials to special appearances of your favorite dancers. We also offer opportunities to win free gifts and tickets for free admission to our gentlemen’s club in Fort Worth. Most importantly, our VIPs get early access to special events including sports nights and competitions that we host throughout the year.